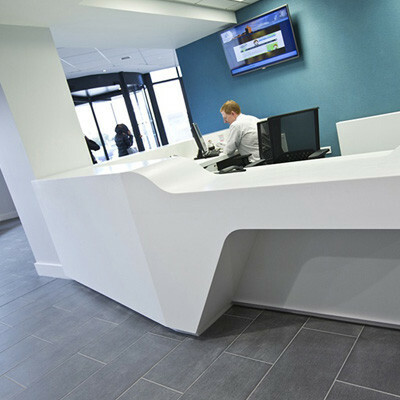 Custom Made Reception Desks can help express the ethos and professionalism of your business. 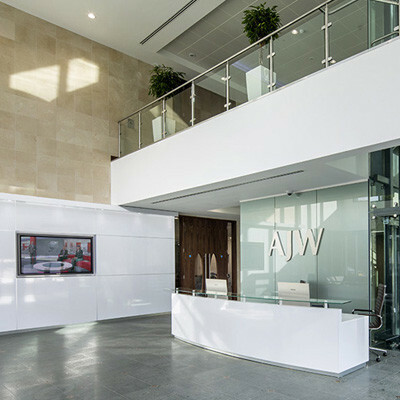 At Apres Furniture, we have over 20 years of experience working with designers, architects and clients, so have the knowledge and expertise to help you create custom made reception desks that align to your identity as a business. What is the first thing that your clients, customers and, indeed, colleagues, usually see when they enter your building? The answer is usually the reception counter. Therefore, setting the right impression, especially with your clients, makes good business sense, and can help you to create a longstanding relationship from the off. 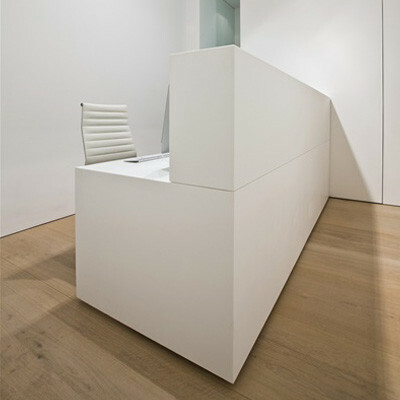 A custom made receptionist desk can also help provide a good start to the day for your workforce as they arrive and walk past a visually impressive reception area that is made-to-measure, setting the tone for the rest of the day. 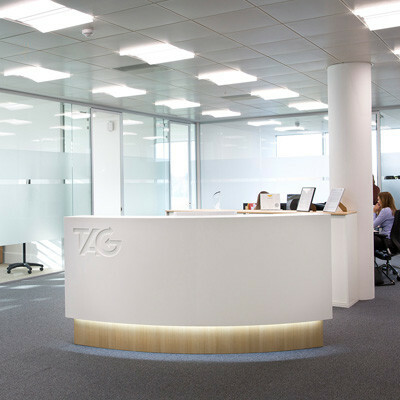 Using only high quality materials, we can create bespoke reception desks from a multitude of sources, from wood veneers to concrete reception desks, all of which have the potential for integrated cable management, data points, lighting effects, glass, and AV equipment as part of the bespoke design. Part of the beauty of custom designed furniture is the ability to make it as simple or complicated as you like. It really is up to you and the possibilities are, as they say, endless. 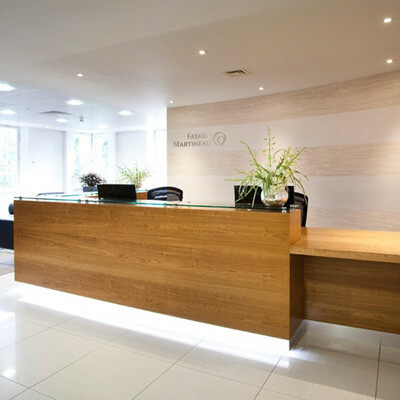 Our dedicated team is available to support you from initial conception and planning, through to manufacture and installation of your custom made reception desk. We can be as involved as you like, and you can rely on us to bring our expertise to the table – custom made of course! Have a look at the attached photos, but please send us an email at info@apresfurniture.co.uk so we can show you some more specific examples of our previous works. You are requesting a price for the "Custom Made Reception Desks"
To create a new project and add "Custom Made Reception Desks" to it please click the button below. 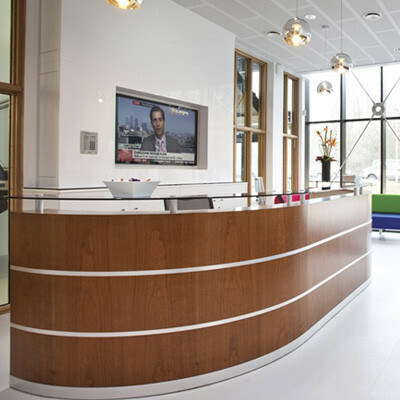 To add "Custom Made Reception Desks" to an existing project please select below.